So I'm really conflicted whenever the question arises: are you middle-eastern? are you mixed race? wehhhh you don't look Japanese. Dang people. Do I have to prove myself every time?! Kidding aside, I'm really fascinated by how Japanese culture is both magical and theatrical, yet conservative and heart-warming. As a Filipino, my history tells me I should hate what Japan did to my country years ago. But then again, since half of me is from the land of the rising sun, I can't nurture on the hatred--well other than the fact that it's also not my nature to nurture hate. Anyway, being at the heart of the beauty industry, you can't blame me for being amazed with Japan. Japan is a haven of so much miracle skin care products and technology to the point that you can really give those Western brands a run for their money. 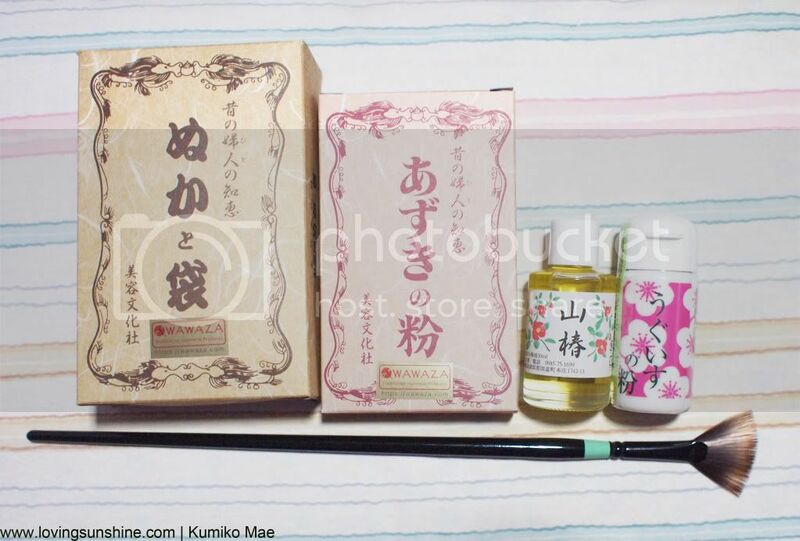 Recently, Wawaza sent yours truly with Japanese traditional beauty products for review and since we've been so in to the brush-talks, I would like to begin the Wawaza series of reviews with a traditional Japanese fan brush. The word traditional makes this brush completely interesting. It's as if it's not just a cosmetic tool, rather it's a heritage of culture you have on your hand. It's like having so much story between your fingers. Oh, did you notice the length of the brush? It's outrageously long, explains its traditional design. 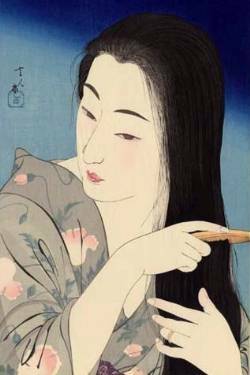 Japanese brushes, especially with their rich heritage on calligraphy and art makes Japanese cosmetics/beauty industry so much more enamored with culture and depth. Ordinarily, we know fan brushes as "brooms" to sweep of dusts of stray shadows on the face but Wawaza's traditional Japanese fan brush is an entirely different story. The bristles are not as fluffy compared to your regular fan brushes. 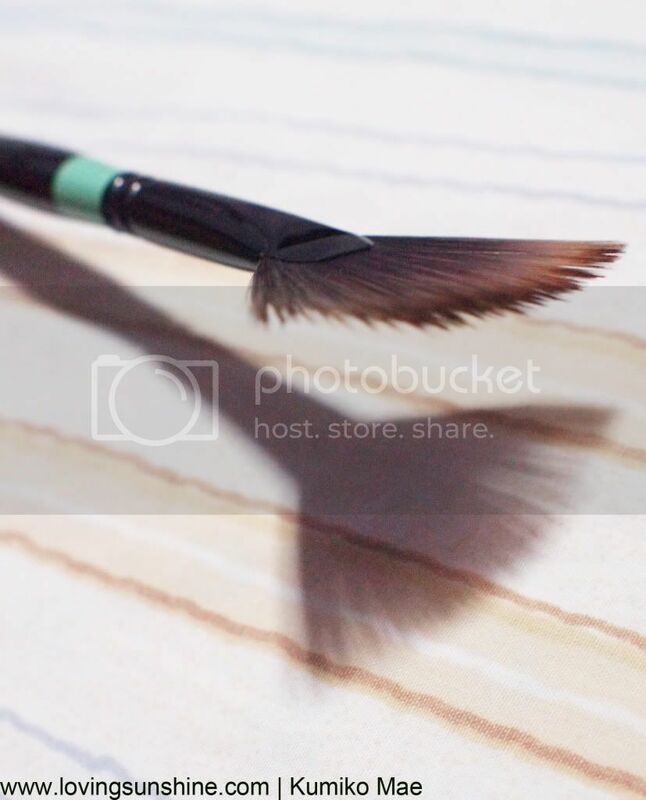 This fan-shaped brush is a make-up brush and an applicator brush (for skin care). 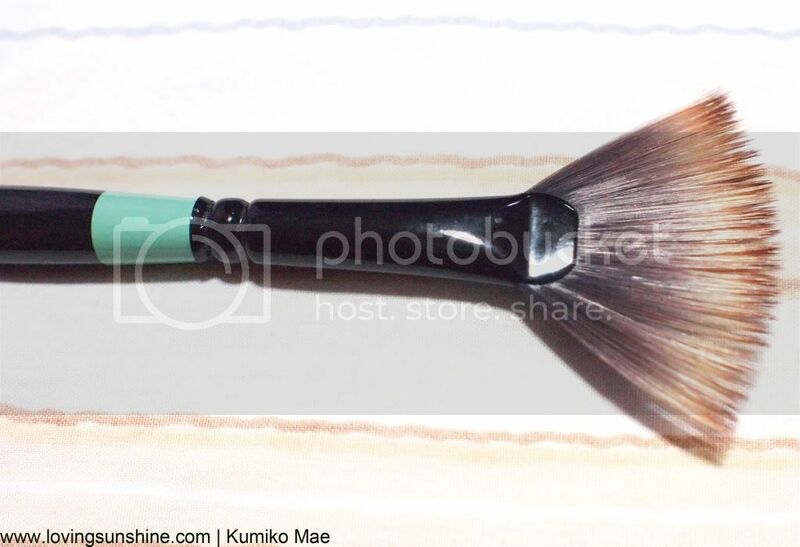 To those who use facial brushes for their face mask/creams, this fan-shaped brush is a great option. I should know. I unintentionally caught myself imagining that I was some oriental princess that one time I was using the brush to apply my night mask. Practical and multi-functional. Here are some suggestions on how to use your traditional Japanese fan brush. CORRECT YOUR MISTAKES. Designed to fan away stray products on the face. Although as you can see, it's not as fluffy as your ordinary fan brushes (making it less efficient in "sweeping" products off, it is very helpful to correct mistakes that are near critical areas like the eyes. Because of its detailed bristle-head, you don't end up poking your eyes when correcting faults. BE BLUSH WORTHY. 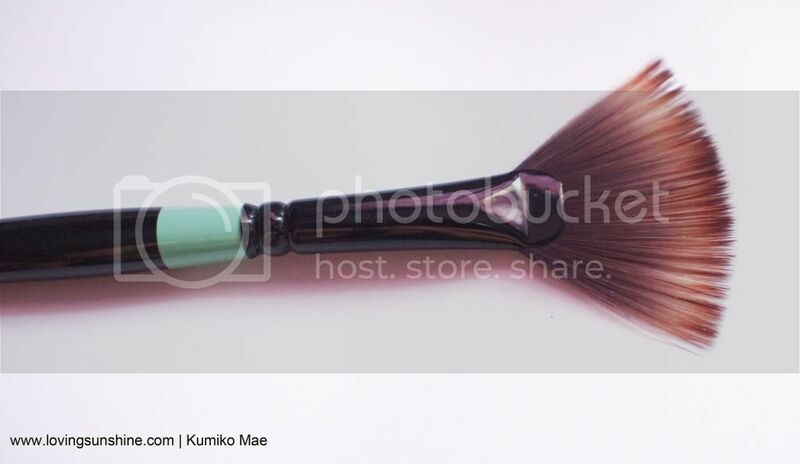 You can also use this fan-shaped brush to apply blush or bronzer. Recommended to those who are heavy-handed. To avoid over application of make-up products, use this brush and you can easily apply just the right amount of flush on your cheeks for a natural pinch. SOFTEN HARSH LINES. Because this brush picks up/dispenses only the right amount of product on your face, it is also a great blending brush. It can subtle out harsh lines all-over your face. I love using this to contour my nose when I want a more defined shadow around it. Unfortunately, its unique length makes it a bit difficult to keep... I don't think there's an existing brush roll that can properly store this brush. The great thing about it though, since it's very easy to clean, very easy to wash and most importantly very easy to dry, it's generally very easy to maintain even outside a brush roll/pouch. It doesn't shed too, so it's wondrous how it is so sustainable. Here's a photo showing the comparison of it's length. By the way, the length promises maximum control, so it's for a good cause. I placed it beside my Charm pro fan brush. It may be double the size, but it's multi-functional, so it's "double" the use. Check it out at www.wawaza.com. So... what's next from K? 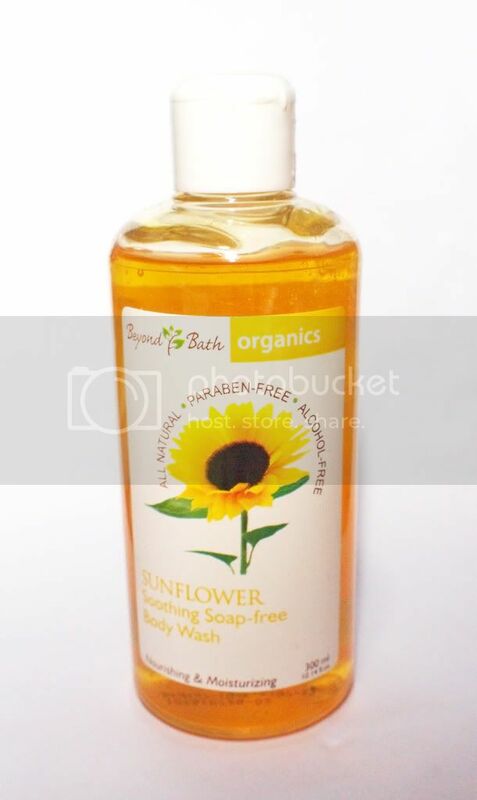 ...a sunflower wash! Oh gosh, that's so pretty! I adore the long length.